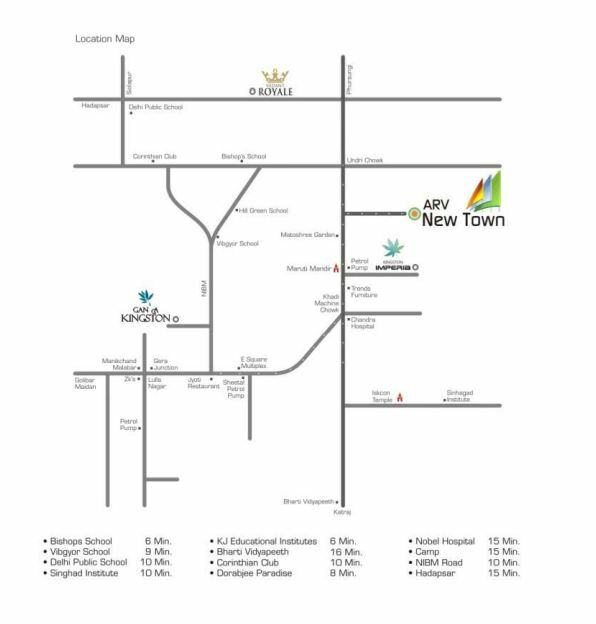 ARV New Town: Live an enriched lifestyle of luxury and comfort every day at this supreme township! Pune is a beautiful city filled with lush greens that always make you feel fresh and alive. Being one of the lowest air polluted cities in the country today, Pune is one of the ideal locations for a healthy and modern-day lifestyle. 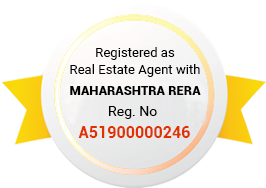 The real estate market in Pune has come a long way over the years and has a lot to offer today. ARV Group is a well-known real estate company that has been creating fabulous developments of pure luxury. ARV New Town is a new township project in Pune by ARV Group that offers residential spaces and shops to meet every requirement and taste. Extended across 17 acres of beautiful land, this development offers 1BHK, 2BHK, and 3BHK apartments, twin bungalows, row houses and shops. With an exclusive range of residential areas, you can choose a luxurious residential space that meets your requirement perfectly, something your family will be proud of for generations to come. ARV New Town Pune is a spectacular township that offers a beautiful lifestyle that you and your family truly deserve. This is where you will find only the best and nothing short of it. The residential spaces are well-spaced and contain luxury furnishings and fittings, vitrified flooring, anti-skid flooring in dry areas, washrooms and terraces, laminated main doors, moulded internal doors and aluminium sliding windows providing beautiful landscape views, solar water heating system in the master bedroom, elegant kitchens with dado and granite tops, high-quality electrical ports located perfectly for easy access and more. The external amenities at this township are truly awesome and offer the highest level of luxury and comfort that will please you. They include a clubhouse, meditation area, gymnasium, acupressure, jogging and cycling track, swimming pool, deck, swimming pool for toddlers, multiple sports facilities and a play-area for kids, dedicated area for senior citizens, amphitheatre, multipurpose hall, party lawn, buffet and barbeque area, reading zone, multiple plantations, sit-outs, landscape gardens, power back-up, fire fighting systems, high-end security with CCTV surveillance and the list just goes on and on. This development also takes-up rain water harvesting and sewage treatment for a better environment. Located at Undri in Pune, this development has all of your everyday and emergency places in its vicinity. You can find and access places like schools, universities, medical centres, hospitals, supermarkets, convenience stores, shopping centres, malls, cafes, restaurants, public transport and a lot more without worrying about long distance journeys. The ARV New Town price is affordable and definitely worth a purchase. This township is packed with plenty of features that offer pure luxury you just will not find elsewhere. Without a doubt, a residential space or shop at this development is worth every Rupee you have saved to live a modern-day lifestyle. You can choose from different payment options and also take-up home loan facilities according to your convenience.